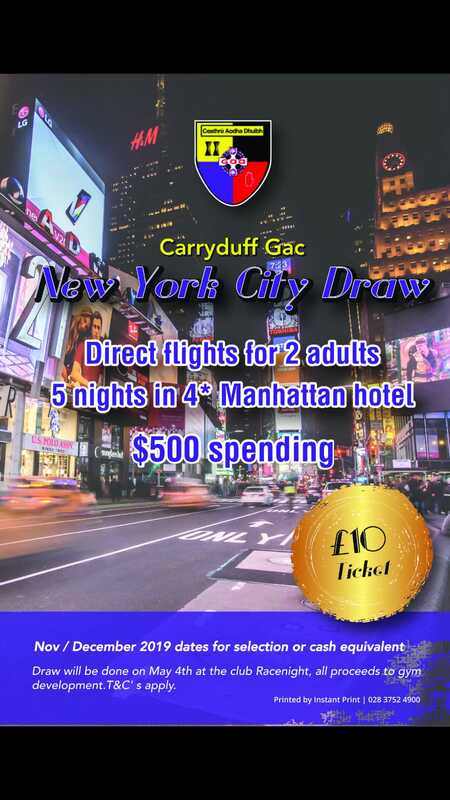 Welcome to the Carryduff GAC Lottery Homepage. Below you will find information on why you should get involved, how it works and how you can sign-up. 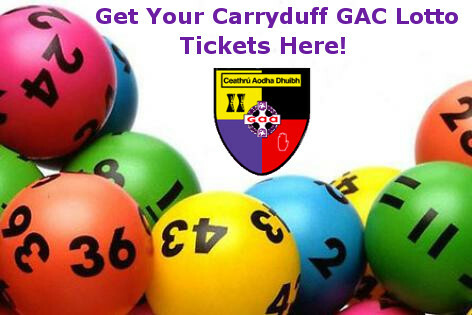 Pick 4 numbers between 1 and 32 in any one line or click on the Lucky Dip button to randomly generate 4 numbers. Tick the Auto-renew box to play the same numbers every week or choose how many weeks to play. Minimum purchase is £5. This can be done as a combination of lines and draws. For example it could be five lines for one draw or one line for five draws. Matching 3 numbers gets you a share of £150. Matching 4 numbers wins you the jackpot! *Winning jackpot will be the total jackpot minus £150 if there is a matching 3 numbers. Prizes: Jackpot has been as high as £12,000. £10,000 in prizes has been won in the last 12 months. Still need help or want put in a syndicate?